John Burke from 41 Broombridge Road, Cabra West celebrating his 60th birthday. 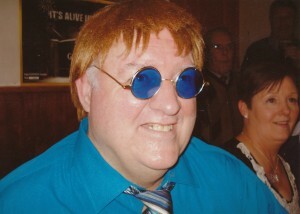 John chose Elton John as his look-a-like and turned up on the night complete with glasses and wig. Congratulation John on reaching a mighty Mile-Stone in your life.